"I love painting abstracts! 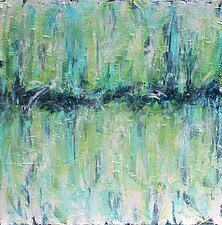 I am focused on color and believe that the creation of each of piece comes from within, influenced by my enjoyment of painting bright colors with a palette knife." 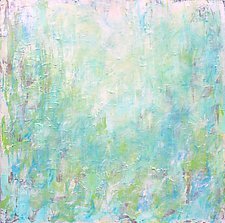 Leslie Saeta is an award-winning artist who creates fresh, colorful paintings using a palette knife. 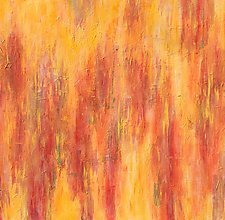 Her work is inspired by the colors of the beaches in Ventura, California—the warm sand tones, the cool ocean blues and greens, and the vibrant reds and oranges of the sunsets. 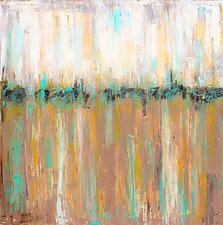 All of Leslie Saeta's abstract paintings are created by layering and texturing paint with a palette knife. As a colorist, Saeta pre-mixes all of the color palettes for her paintings. Leslie Saeta paints full time in her studio in a 100-year-old carriage house. 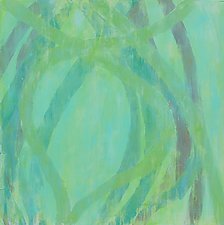 She is a primarily self-taught artist and has taught painting workshops for the last five years in her studio and throughout the USA. She is devoted to helping other artists sell their work, and she hosts a weekly talk radio show called Artists Helping Artists, which is heard by more than 15,000 artists per week.